Happy New Year! Save an extra 15% on our unlimited plan with the promotional code UNLIMITED2019. we allow you to play and expand your server worry-free. 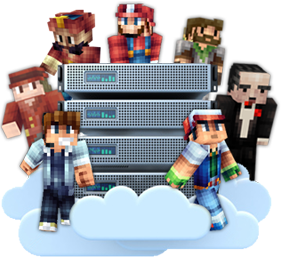 With unlimited player slots, memory, CPU usage, storage and bandwidth, you can play and expand your server worry-free. With Intel Xeon processors, solid state drives and premium bandwidth, we ensure your server stays lag free for you and your players. Manage, monitor, and control your server. Manage your server files via FTP. Extend server functionality with MySQL. Ready to start your own Minecraft server? "I was looking for a quality, cheap Minecraft host and had almost given up. Then I found HostHorde! They have amazing quality plans, for a fraction of the cost of other hosts. My server is always up! Thanks HostHorde!" "When I switched to Hosthorde, I saw an increase in server performance, and a price drop. With their unlimited plan, I have saved money and increased my server size."